Do you all do group or individual treatment sessions? Therapy sessions are individual (1 therapist to 1 child). therapy at the same time)? My child already gets therapy at school, would he/she benefit from additional therapy? At Helling Children's Center, we offer individualized therapy sessions. 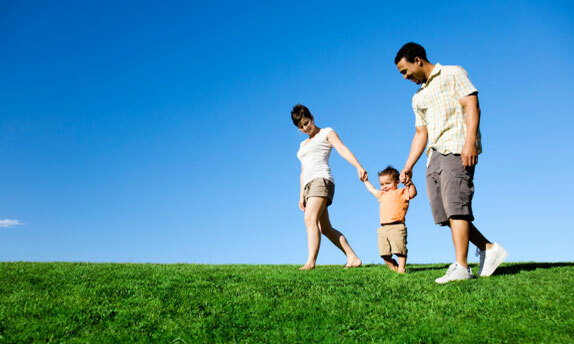 One-on-one attention ensures that the therapy session is focused on the child. In contrast, school-based therapy is typically conducted in 30-minute, group sessions (one therapist with multiple children). We work very closely with the school therapist to ensure that we are attaining the same goals. What types of disorders do you work with? 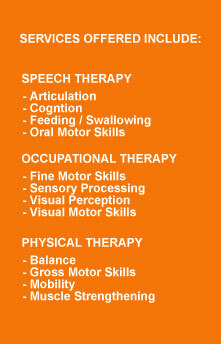 We work with a wide array of disorders and disabilities, some of which include (but are not limited to) Autism, Down Syndrome, Speech/Language Difficulties, Feeding and Swallowing Disorders, Hearing Impairments, Cerebral Palsy, Muscular Dystrophy, Spina Bifida, ADD/ADHD, Sensory Integration, Handwriting, Orthopedic Conditions, Traumatic Brain Injuries and much more. There is no way to determine the answer to this question. The therapy process is dependent on the number of sessions needed, the type and severity of the disorder, any co-occurring disorders, and compliance during therapy, and homework completion. All of these factors may affect the length of the therapy program. What Insurances/ Medicaid policies do you all accept?